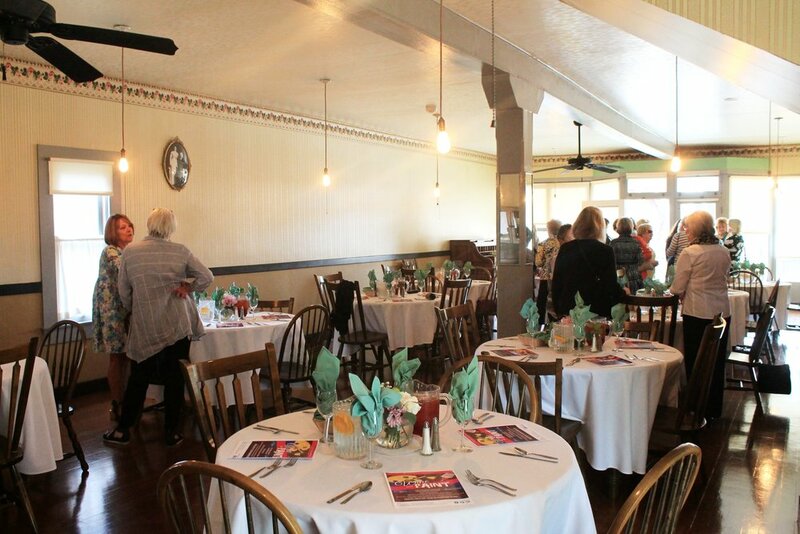 Located just north of downtown Bakersfield, the Kern County Museum offers a remarkable setting for your next business meeting, company party, wedding, reception, or reunion. 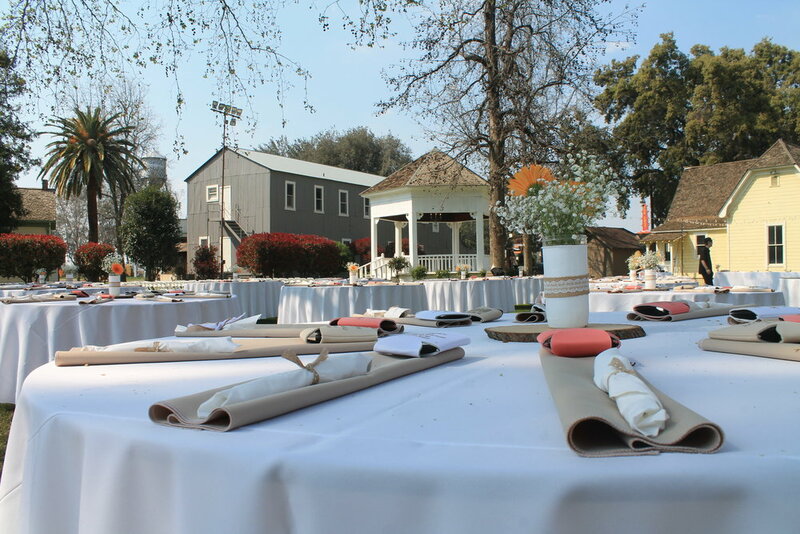 Over 50 historic structures and exhibits set amid 16 acres of beautiful grounds make the museum an ideal setting for numerous types of private and public functions for parties as small as 50 or as large as 5,000. Batey Garden has ample space for the largest events or ceremonies. This picturesque location features a large gazebo, beautiful walking path, and spectacular views of the historic Howell House and the Beale Memorial Clock Tower. The perfect venue for the storybook ceremony of your dreams. A vintage gazebo is the focal point for this scenic spot, which features a dance floor and lighting. 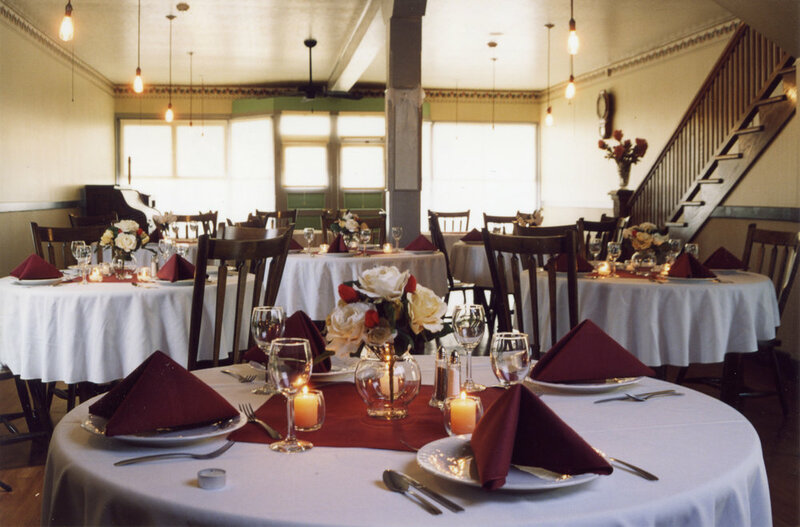 Surrounded by historic buildings, the Log Cabin Green is perfect for a large ceremony, reception, or party. This space is easily accessible from the main entrance. This unique location features 6 restored neon signs, a tiled courtyard, old fashioned lamp posts and a 1940s gas station. The Fellows Hotel has been restored to the glory days of the 1920s. The interior features fine detailing, replica oak furniture, a kitchen and two private restrooms. Built in 1892, this historic chapel and the adjacent green provide an elegant and romantic setting for both a ceremony and reception. Perfect for a meeting, luncheon or intimate reception, the Standard School building features a kitchen, two bathrooms, presentation screen and air conditioning/heating. The adjacent lawn is perfectly shaded and tucked away off of the main path.